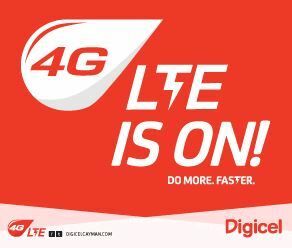 Digicel has launched its LTE network in Turks & Caicos, becoming the first operator to offer the service on the Caribbean Island. The operator, which controls 94% of the mobile market on the island, according to the Turks & Caicos Sun, will start offering the service on the islands of Providenciales, Grand Turk and North Caicos. The remaining islands will be covered in the near future. Turks & Caicos is the last in a spree of LTE deployment across the Caribbean. Choice Wireless launched its network in the US Virgin Islands in January, whereas LIME did so in Antigua & Barbuda in November. Puerto Rico, Dominica and the Cayman Islands also have operative networks. Latin America ended 2014 with 12mn LTE subscriptions, representing 488% growth compared to the 2mn subscriptions seen the previous year, according to 4G Americas. The leading countries in the LTE race are Brazil, Colombia and Mexico. GSMA predicted that 4G LTE networks will reach over three quarters of Latin Americans by 2020. COMSOL is a company that provides dependable Consulting Services and high-quality data services to Network Service Providers throughout the Americas and the Caribbean.